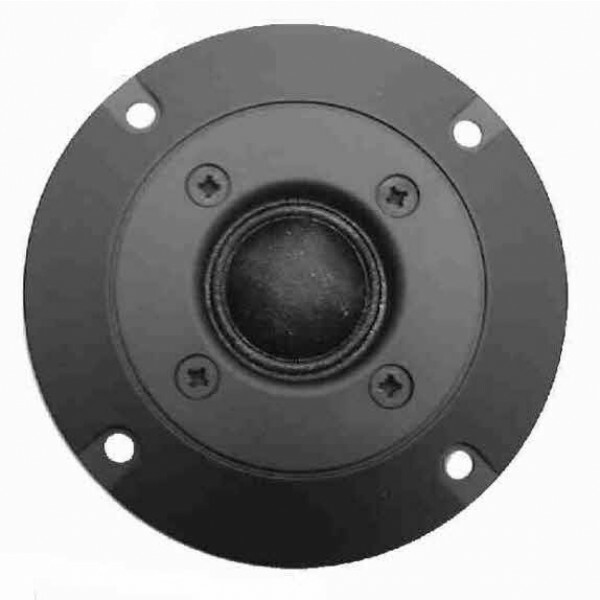 Audax TW025M0 spares and replacement voice coils from Falcon Acoustics, The Leading Supplier of DIY Hifi Components. Audax TW025MO is a high-quality 8 ohm 25 mm voice coil tweeter, aluminium bobbin and vented pole piece. We recommend replacing in pairs if possible for consistency. Used in many kit systems including World Design KLS series. Audax TW025MO is a high-quality 8 ohm 25 mm voice coil tweeter, aluminum bobbin and vented pole piece. We recommend replacing in pairs if possible for consistency. Used in many kit systems including World Design KLS series. Direct replacement for Soundcraft Spirit Absolute2. Designed with a high efficiency impregnated catenary textile dome which gives a very strong dome profile, and dual level damping. 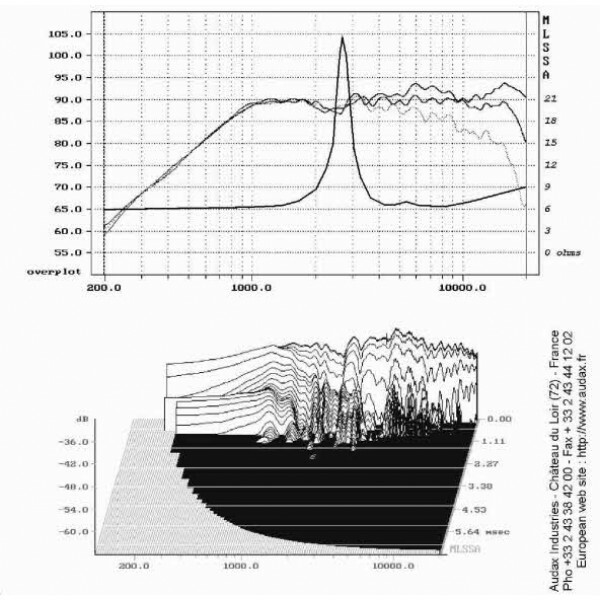 Exceptional Linearity +/-2dB 4Khz - 20Khz. Supplied with polymer faceplate with fibreglass reinforcement. 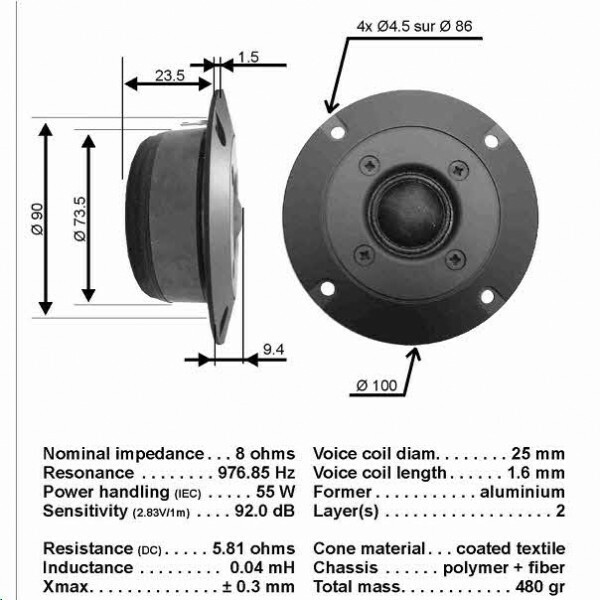 Replacement aluminum wire voice coils are also available. No Ferrofluid.